Press Release: Partnership between Experian®, the world’s leading global information services company, and BankBazaar.com, India’s leading financial marketplace reaches a significant milestone of one million. Within a year of the partnership, there has been a surge in the number of consumers availing their Experian credit reports on the fintech’s platform. At the moment the total number of consumers pulling their reports online, per month, stands at one million and is growing. The number only includes the enquiries that are made by the consumers themselves and does not include the hard queries raised by financial institutions in response to a credit application. Over the last few years, the personal finance landscape has seen a significant shift to the online space backed by the rapid adoption of mobile internet. In January 2017, Experian and BankBazaar joined hands, to offer free credit monitoring services to customers with their consent. This partnership with BankBazaar—a financial marketplace that sees more than 23M visitors per month—has strengthened customer adoption through a real-time service delivery. Together, the companies have been able to provide a seamless and instant online process for consumers to get their credit scores within a few minutes compared to paper-based applications that take a longer time. The partnership has helped to build consumer awareness about the importance of credit report and score amongst consumers, especially digital savvy millennials in the country. Commenting on the partnership, Vaishali Kasture, Managing Director Experian Credit Bureau and Country Head, Experian India said, “In 2017, India stood amongst the top four countries in the Asia Pacific region with the highest digital adoption. 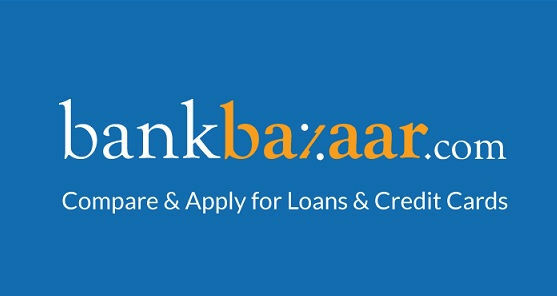 Through our tie-up with BankBazaar, we want to cater to this audience and help them avail credit easier, faster and cheaper. It is encouraging to see that consumers are not just aware but are also becoming conscious of their credit behaviour to maintain a healthy credit profile. This is in concurrence with the vision of financial inclusion and empowers consumers with a good credit profile to avail cheaper credit. It also helps lenders to acquire and maintain customer portfolio that has a low probability of default. Experian is committed to supporting businesses to make smarter decisions, lenders to lend more responsibly, and help consumers to avail credit easily while onboarding them into the mainstream credit system”. As part of the credit report, Experian offers not just the credit score but the complete details of the applicant’s financial history. This is supplemented by detailed analysis and recommendations by financial experts at BankBazaar for improving and maintaining a good credit score. The complete package has played a crucial part in convincing customers of the merit of keeping track of their credit score at no extra cost. Commenting on this development, Adhil Shetty, CEO, BankBazaar, said: “Both customers and financial institutions have accepted the online paperless model in a big way as shown by the 1M+ requests in a month for the Experian credit report online. It has been a great journey with Experian so far, and we take pride in achieving this milestone together. BankBazaar has single-mindedly focused on becoming the #1 marketplace for all financial products through its online paperless channel. Our partnership with Experian will help us accelerate our direction towards this goal.